Nowadays, we are quite aware of the enticing prospect in the field of coding. It’s an important part of the modern day curriculum and is also considered the basic literacy. 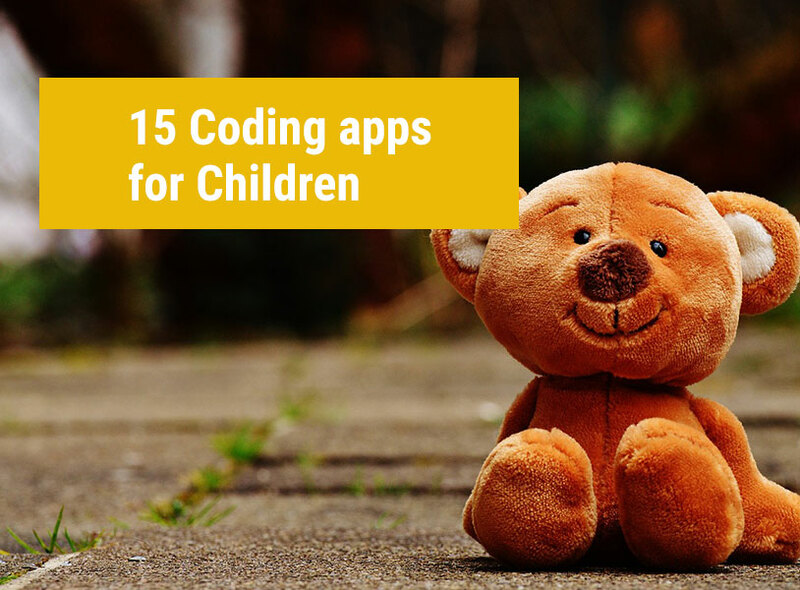 There are several coding apps available in the market that are suitable for children who wants to get themselves introduced to coding. We have listed several apps in this article for your reference. Let’s go through them. Players can gain a practical knowledge of basic coding instructions like how to write instructions, problem debugging, simple loops and procedures by guiding a virtual bot with specific commands to solve various levels. Lightbot Jr. is available on Google Play and iTunes. It can be considered one of the best apps for children who want to get themselves accustomed to the wonders of programming. Kids from a very early age can get into this app to learn about various programming concepts without even knowing that they are actually learning while playing. Players will have to connect appropriate programming blocks together as per logic to get the desired result. It’s pretty simple and is tailor made for beginners. This app is available for download on iTunes and Google Play. It’s a free app that teaches the basics of programming to children. This app is also based on a drag and drop type interface. It’s pretty simple but very effective. The protagonist as you have guessed it by now is a cute dinosaur called Daisy. Players will have to use various attributes of programming to make Daisy perform various tasks as per their choices or instructions. Daisy the Dinosour is available on the iTunes and can be downloaded without any cost. Codeable Crafts is another app that’s based partially on the gameplay of ScratchJr. Players will have to create their very own imaginative stories through drawing as well as coding. At first the players will have to create a character who will be the main hero of the story. To design a character the players can use a template or they can also use a drawing of their own by taking a picture of the same with their device camera. They can then use various virtual crayons as well as stickers to spice up the character. Now they will have to get into the part of designing the story where they will have to implement various block-based programming tools to design the story. The entire concept is pretty fun and very engaging. Codeable Crafts can be found on iTunes and Google Play. This app is tailor-made for teaching the basics of programming to beginners and kids who belong to the age group of 6 to 8. The game is based on a story that has a fictitious plot, or more specifically we can say that the plot is nothing but a science fiction. Fuzzes shown to be the furry aliens were in the midst of space exploration when their spaceship crashed and they get stranded on a planet that has lots and lots of mazes. Players will have to design their programs in a manner through which the Fuzzes successful explore all the mazes and reach their destination. It’s pretty entertaining. Kodable can be downloaded from iTunes and Google Play. It’s a puzzle game that’s based on various programming concepts. This game utilizes various game mechanics that have a firm root in programming. Players can learn about concepts like control-flow concepts, conditional loops and many others. Most importantly, they’ll gain a practical understanding of such concepts which will definitely be beneficial in the long run. This app’s available on Google Play and iTunes at a reasonable price. Before we kick-start our discussion on Blockly, we should say that this app requires a specific robot called the Dash and Dot to play. It’s a visual programming tool based on a drag and drop interface where the players will simple have to drag and drop code snippets sequentially in the correct order to create a perfect program. The result will be reflected by the bot itself. For example, if they want to move the bot left, then they will have to design the code in a manner in which the bot should actually move left. On program execution, they’ll be able to see the result exhibited by the bot before their very eyes. This free app is available on itunes and Google Play. Like the name above, it’s pretty clear that you should have the Dash and Dot bot to interact with this app. Wonder app comes with more than fifty challenges designed for teaching programming related concepts to the players. There are several virtual adventurous environments in this app for coding purposes like the Arctic wilderness, the African Grasslands, outer space and more. It’s extremely fun and gratifying. The app’s available for free on Google play and iTunes. This app features a cute little turtle as the game avatar. The character is so adorable that it should automatically capture the attention of kids and encourage them to get back to the game again and again. The objective of the players should be to move the turtle around their device screen by following a specific set of instructions that are provided by the app itself. If you want to go through the details, you can go through this complete review of the app. Move the Turtle is available on iTunes at a reasonable price. Players can do a variety of programming-related activities on this app like writing the code, play the same and share their own games, interactive art, animations and many other apps. Pocket Code exhibits a LEGO-style programming environment. The app also provides the users with an hour of tutorial that’s immensely beneficial for starters and beginners in the field of coding. Pocket Code can be downloaded for free from Google Play. Tickle is a visual-based coding app through which the users can program interactive games as well as stories using their in-built library of animated sounds and characters. It’s easy to learn and pretty engaging. The drag and drop programming environment is appropriate for young kids who are new to the field of coding. Tickle is available for free on the iTunes for Apple iPhones and iPads. Tynker is an exquisitely simple app for teaching coding to beginners. The main plus point of Tynker is its graphical virtual environment which is presented to the users in a fascinating manner having lots and lots of colors that should automatically draw the attention of players, especially young children. Tynker has a number of fun puzzles for basic coding education. Players will be able to create their very own games and can also consult the game tutorials that can throw much light on programming as well as guide the players with step by step instructions to achieve their targets. No previous experience is needed to get involved with Tynker. It’s a wonderful app; there’s no denying that fact. Tynker is available for free on iTunes and Google Play. There’s a paid version as well that’s also available on Google Play at a reasonable price. Cargo bot is a popular puzzle game that has immense potentials of challenging the brains of the players and helps them to learn about various programming concepts at the same time. The basic objective is pretty simple. You’ll have to teach a robot the various ways through which it can move crates or more specifically, cargoes. It sounds pretty simple but you should remember that you have to use your coding skills to guide the robot to its destination. Cargo-Bot is available on Google Play and iTunes and it can be downloaded free of cost on both the platforms. Through this app, players will be able to make their very own games, design simple videos, create other apps and build many other fun as well as innovative projects. There are more than forty challenges that can hone the players’ coding skills. In short, this is an excellent app to get accustomed to the exquisite world of programming. Hopscotch is available on iTunes for apple iPad and iPhone. OSMO’s new coding kit is a fun and effective way to introduce programming to children through the usage of tactile blocks. Before we start our discussion, you must know about OSMO and its various games. OSMO coding is fairly new in the market and if you want to know about this in detail you can go through this article. After going through those 2 articles, you should definitely know by now that you must have the OSMO kit to engage with the games. In OSMO coding, players will just have to place the tactile blocks in a correct sequence in front of their iPad to fulfill the conditions. The result will be reflected on the screen itself. This short video provided below can throw ample light on the way through which it works. OSMO coding app is available for free on the iTunes. In this modern era, coding is considered a part of the basic literacy. Hence, it’s extremely important that this subject is introduced to children at an earlier age to provide them with a stepping stone to a successful career. These apps listed above can certainly help them in that respect. Along with that, after-school coding classes can also help them out by providing them effective and fun coding lessons. We’ll end this article with a quote of Steve Jobs. That quote itself should be enough to highlight the importance of programming. We are signing off for now then. Hope you had a good read.